OCMS was founded by a group of parents in 1963. It’s one of the oldest Montessori schools in the country, and the oldest south of Boston. 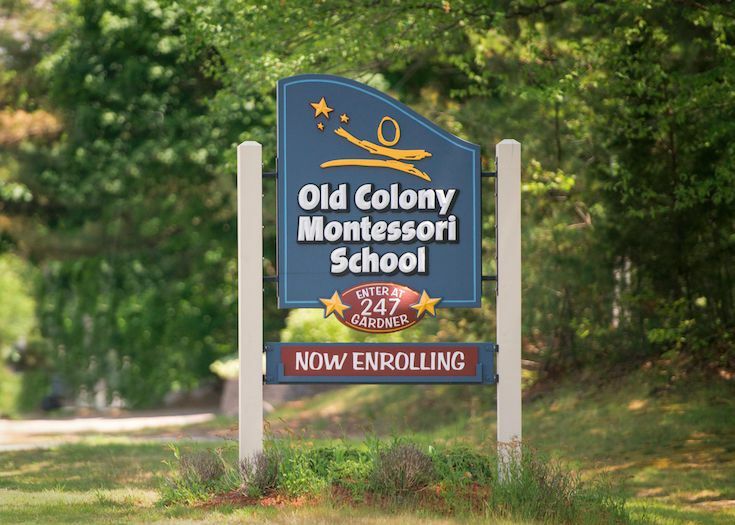 OCMS is dedicated to providing a Montessori education to children on Massachusetts' south shore and beyond. 247 Gardner Street, Hingham, MA. Learn more about our dedicated teachers and staff. kindergarten). Half-day and full-day option. Enrichment programs include language, art, music, organic gardening, physical education, community service, outdoor classroom learning, and more. OCMS offers Lunch Bunch (11:30 am -1:30 pm) and extended day care until 6 pm every day for students attending the school. After-school enrichment programs include music, physical education, language, and more. OCMS also offers morning extended care from 7:30am daily, upon request. Hingham Public Schools provide bus service for all Hingham residents attending OCMS. Children must be five years old by September 1 to be eligible.